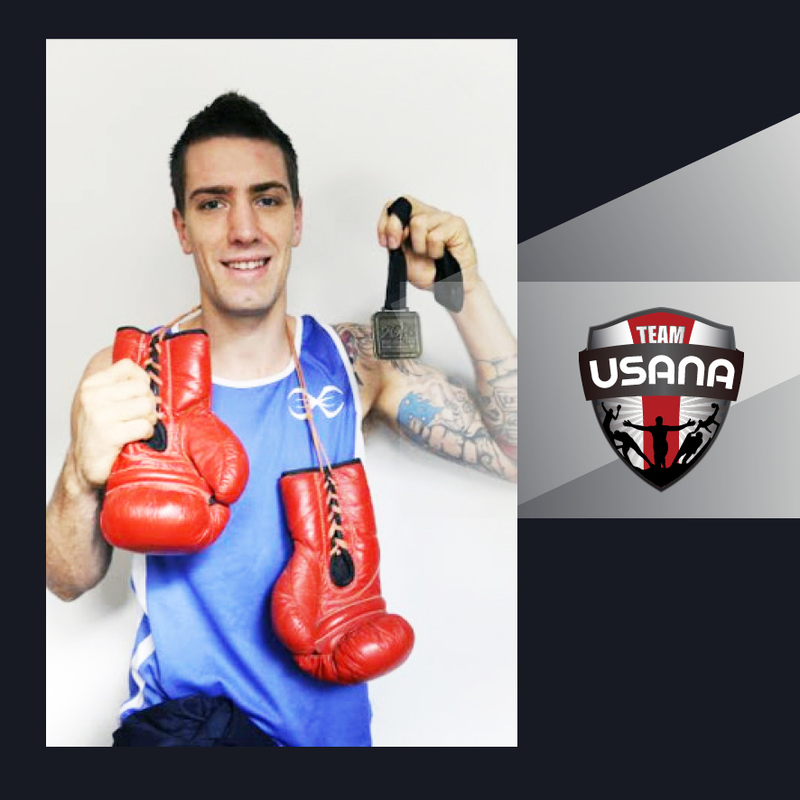 Team USANA had added some extra punch to their athlete line up with the addition of Victorian boxer Jason Whateley. Jason, who said he is “very grateful and privileged to be a part of the USANA team”, originally played AFL before being asked to take part in a local amateur boxing tournament, where the organisers wanted two footballers to box each other at the end of the tournament in a legitimate amateur bout to bring in a bigger crowd. Jason was 17 at the time and after training for a few months took part in the match to win by KO and that’s when he fell in love with the sport and has never looked back. Since then Jason has represented Australia on numerous occasions including the 2013 and 2014 World Amateur Boxing Championships. He has also won six Victorian titles and the 2015 and 2016 Australian championships. Jason is currently the Australian representative in the Asian Championships to qualify for the 2016 Rio Olympic Games. In order to be an elite boxer Jason said lives and maintains a very healthy lifestyle. “My sport motivates me to stay fit and healthy,” he said. Jason currently uses USANA SoyaMax protein, Essentials, CoQuinone 100, Rev3 surge pack, BiOmega and the Fudge Delight protein snack. Jason said he is hoping to represent Australia and win a medal at the 2016 Olympic games and would also like to turn professional and capture a world title. Jason said it’s important for all upcoming athletes or people interested in pursuing a career in sport to work hard and dedicate yourself to your sport, “that is the only way to succeed”.